Small shrimp-like crustaceans found primarily in the Gulf of Mexico and the eastern coast of Florida; currently the primary estuarine species in toxicity testing; used in both acute and chronic tests; also known as mysidopsis bahia, opossum shrimp, mysid shrimp, and mysids. Analysis of variance; used in conjunction with NOEC to determine if statistically significant differences in a response occur among two or more groups. Commonly referring to an organism used in bioassay testing. A test to determine te relative strength of a substance by comparing its effect on a test organism with that of a standard preparation. Any biological species or group of species whose function, population, or status can be used to determine ecosystem or environmental integrity. Water flea, occurs in littoral areas lakes, ponds, and marshes throughout most of the world; EPA recommended freshwater invertebrate used in both acute and chronic toxicity testing. Long-term poisonous health effects in humans, animals, fish, and other organisms. The normalized measure of dispersion of a probability distribution. It is defined as the ratio of the standard deviation to the mean. The lower and upper boundaries of a confidence interval. The upper and lower bounds of a 95% confidence interval are the 95% confidence limits. an otherwise identical replicate within a test without the variable being tested. A graph of the results of a process over time and against established control limits. 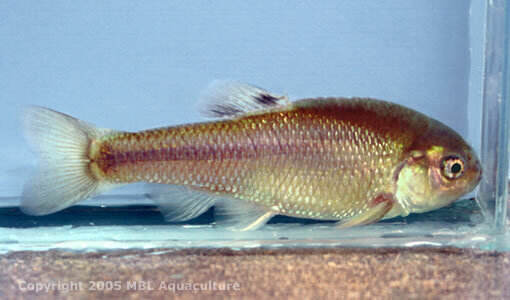 (bannerfin shiner) a freshwater fish known to inhabit sandy runs of medium to large rivers. the EPA-approved vertebrate species for freshwater acute toxicity tests, in which one to 14 day-old organisms are used. 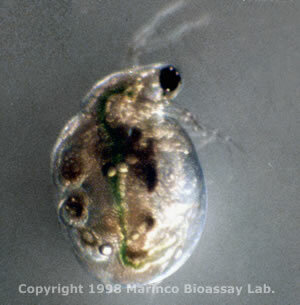 small, planktonic crustaceans approximately 5mm in length; lake dweller and is restricted to waters in northern and western North America. DMR-QA evaluates the analytical and reporting ability of the laboratories that routinely perform inorganic chemistry and whole effluent toxicity self-monitoring analyses required by their NPDES permit. wastewater discharged into surface waters. General permits are written to cover a category of dischargers instead of an individual facility. Application for coverage under a general permit is by submitting a "notice of intent" and is much less rigorous than applying for an individual permit. General permits may place limits on the quanity and concentration of pollutants allowed to be discharged and typically require operational conditions called Best Management Practices. Wastewater generated in a commercial or industrial process. IC25 is a point estimate of the toxicant concentration that would cause a 25-percent reduction in a non-lethal biological measurement, such as growth or reproduction. Acute or chronic toxicity caused by inorganic ion imbalance and/or the ion concentration of the effluent, common where process streams are concentrated. A standard measure of toxicity; tells how much of a substance is needed to kill half of a group of experimental organisms in a given time. Inland silverside; Silversides occur in estuaries along the Atlantic, Gulf, and Pacific coasts. Menidia beryllina are the current EPA-approved marine vertebrate used in both acute and chronic toxicity testing. In acute toxicity testing, one to 14 day-olds are used and survival is recorded. In chronic toxicity testing, seven to eleven-day olds are used and survival and growth are recorded. No Observed Effect Concentration; exposure concentration at which there are no statistically or biological significant differences in the frequency or severity of any effect in the exposed or control populations. National Pollutant Discharge Elimination System; the NPDES permit program controls water pollution by regulating point sources that discharge pollutants into waters of the United States. 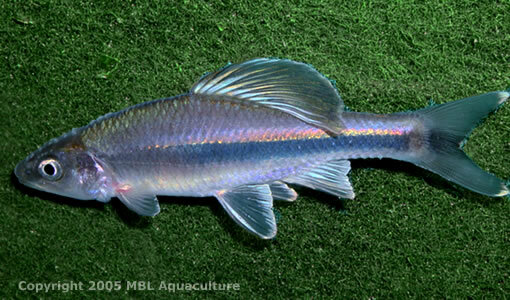 Common name - fathead minnow; the fathead minnow is a freshwater fish widely distributed in the United States and it is usually found in brooks, ponds, and small lakes. Pimephales promelas is the EPA recommended vertebrate species for freshwater chronic toxicity tests. Formerly Selenastrum capricornutum. 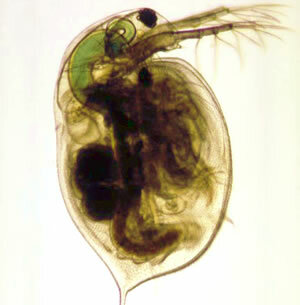 Freshwater algae used as Daphnid food. toxicant used in performing toxicity tests to determine the sensitivity of a test organism and to demonstrate the laboratory's ability to perform the test correctly and consistently. Wastewater produced by reverse osmosis; this reject water may require monitoring. water that originates during precipitation events. It may also be used to apply to water that originates with snowmelt or runoff water from overwatering that enters the stormwater system. TIE; series of toxicological studies to characterize and identify causative toxicant(s). TRE; systematic evaluation of operations and effluent characteristics to determine the source(s) of toxicity and so that the toxicity can be controlled sufficiently to allow a discharger to comply with their permit limits. Biological testing, such as a bioassay with an invertebrate or fish to determine the adverse effects of a compound or effluent. Water that has been contaminated with liquid waste discharged by domestic residences, commercial properties, industry, and/or agriculture. WET tests; measure wastewater's effects on specific test organisms' ability to survive, grow and/or reproduce.